Sir Salman Rushdie has accused his publisher of censorship at the same time as trying to prevent the release of a book that criticises him. The novelist, who spent nearly a decade under a fatwa from the Iranian government after the publication of The Satanic Verses in 1988, attacked Random House for pulping a historical novel about the Prophet Mohamed for fear of offending Muslims. 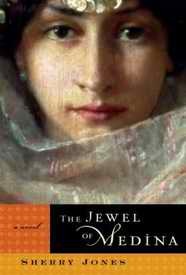 Sherry Jones's debut novel, The Jewel Of Medina , about the Prophet Mohamed and his child bride, was due for release this month. But Random House said credible and unrelated sources had warned that the book could incite acts of violence by a small, radical segment. Rushdie's very public intervention comes at a time when he is engaged in a legal battle to amend the content of a book that criticised him. 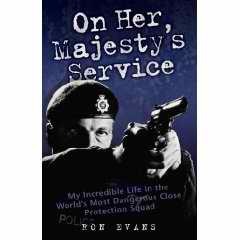 On Her Majesty's Service by Ron Evans, who was part of Rushdie's police protection team, makes claims – all of which are denied by the author – that he was imprisoned by guards who got so fed up with his attitude that they locked him in a cupboard under the stairs and all went to the local pub for a pint or two. When they were suitably refreshed, they came back and let him out. Evans, who contends that police nicknamed Sir Salman "Scruffy" because of his unkempt appearance, also makes several other allegations. Rushdie denied there was any contradiction in his actions, saying: [Sherry Jones's book] is a work of fiction. Ron Evans's book is not, and it contains a very large number of provable lies and complete absurdities which were defamatory not just about me but my son's mother, Elizabeth West, the Metropolitan Police and people including John Major and Norman Tebbit. Under pressure from Sir Salman's lawyer, Evans is believed to have amended his most contentious chapters. Why did Random House refuse to publish The Jewel of Medina? Two reasons — or perhaps one: the first the nice, obvious line, is ‘sensitivity’. No one in their right minds is opposed to sensitivity, are they? No. Being mindful of other people’s feelings is A Good Thing. Not pushing your opinions, or indeed values, certainly helps in the smooth running of a society. Which is why, enthusiastic about pork products as many of us may be, it’s only neo-Nazis who lob pig’s blood at mosques or synagogues. But we should be wary of crossing the line between sensitivity and self-censorship. The other reason, and, in truth, the single, underlying reason, is fear. Fear of the marauding Muslims looking for any excuse to burn a few effigies and bomb a few buildings. And this is the far more worrying aspect. In the minds of far too many in the western world, ‘the Muslim’ is driven by deep, irrational, unknowable passions. And by ‘the Muslim’, ‘all Muslims’ is meant. The Muslim takes his religion far, far more seriously than any other: ‘the Muslim’ is quick to take up arms, to denounce, to hate in the name of his faith. The Muslim is closed to critical thinking. A presumably muslim minicab driver has been found guilty of helping try to firebomb the home of a publisher days before the release of a novel about the marital life of the Prophet Mohamed. Abbas Taj was waiting in his car as two accomplices poured diesel through the letter box of the four-storey home of Martin Rynja, who had vowed to publish The Jewel of Medina after the American-based giant Random House postponed publication due to concerns that the book would lead to acts of violence by Muslim extremists. Taj arrived outside the home of the publisher in Islington, at 2am on 27 September last year and watched Abrar Mirza and Ali Beheshti try to set light to the house, which is also the publisher's office. The three men are to be sentenced in July. Aren’t you scared? I get asked this question all the time, most recently in the wake of the news that three radical extremist Muslim men conspired to set fire to the home office of Gibson Square, the London publisher that had been set to publish my novel The Jewel of Medina last October. Whether or not my book is respectful, however, has little to do with the real issue here. For, although the extremists lost in court, they have apparently won where it really counts — in the UK’s book stores. After Gibson Square’s publisher announced, a couple of weeks after the arson attempt, that he was indefinitely postponing publication of The Jewel of Medina — following in the footsteps of Random House in the US — I awarded world English publication rights to Beaufort Books, my US publishing house whose publisher and small staff have supported my book unwaveringly, despite hate mail, lawsuit threats, and Anjem Choudary’s own assertion that not only I, but my publishers, might deserve to die. Beaufort publisher Eric Kampmann and associate publisher Margot Atwell headed to the London Book Fair in April with a full display of The Jewel of Medina and confidence that they would find the right distributor to supply stores in the UK with the book. But — no. Everyone, it seems, is too afraid. These three Muslim thugs who tried to torch the British people’s right to read a book would be easy to shrug off as isolated cases, as simple bullies. The fact is, though, that soon after that attack, extremist groups in the UK exerted an organised effort to keep The Jewel of Medina out of British bookstores. Luke Johnson, chairman of Borders UK, wrote in the Financial Times online that his company had received threats that it would “suffer” if Borders UK sold The Jewel of Medina . Surely, in a civilised society, we cannot allow thuggish behaviour to intimidate us. Otherwise we could all end up being tyrannised by violent and vocal minorities, cowed into submission in pursuit of a comfortable life. How then would humanity and invention progress? Mr Johnson wrote. We can't publish this, we'll get firebombed. Apparently this was the response from one of the staff at Biteback Publishing, the UK publishers of my book, The Young Atheist's Handbook, when it was first presented to them. Thankfully, Iain Dale, the managing director, laughed at the idea, saying, it's OK, we're on the 10th floor and went on to publish the book anyway. It's not just staff at Biteback who may have been concerned about publishing my book --- according to a senior editor at one of the largest international publishers, who claimed to be personally keen to give me a deal, she was unable to convince her colleagues to agree because a number of people in the company would be uncomfortable about it. She then went on to explain that by uncomfortable she really meant afraid .